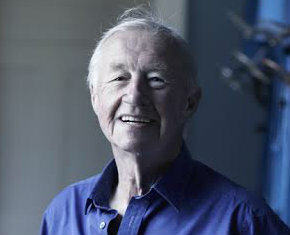 Smoking Gun PR has won a competitive pitch to launch a new luxury paint range from legendary designer Sir Terence Conran. Paint By Conran is attempting to "revolutionise" the way paint is sold by targeting women and delivering the paint direct to customers' homes. Smoking Gun will now launch the five-collection range to the British market with an integrated PR campaign. MD Rick Guttridge said: “Conran is a British institution, so when we were approached to launch a new concept for the company we jumped at the chance. Already working on a number of home and interior clients, this is a perfect fit to our existing client list and it’s been an honour and inspiration for the team to meet and hear from Sir Terence. Conran added: “I have always been passionate about colour because it adds flavour to life and can have a profoundly positive impact on our mood. Colour and paint have always been a part of my life, as my father was a paint maker, so it’s wonderful to have been able to bring them together with Paint by Conran." Smoking Gun, which launched in 2010, already works with the likes of Magnet Trade, Victoria Plumb and Silentnight.